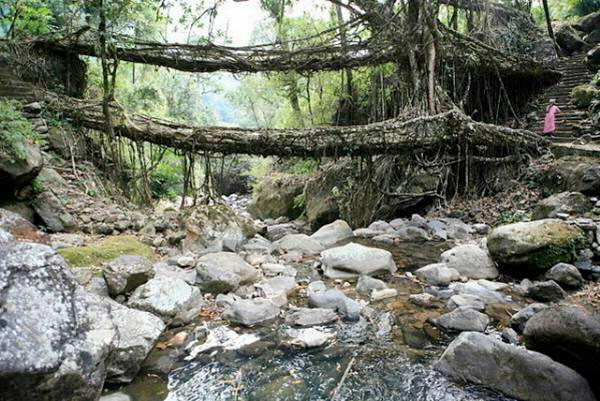 A Natural Root Bridge Across a Valley at Cherrapunji, India - Cherrapunjee is a valley in North Eastern part of India, where the rain lashes the entire place 5 months in a year. Due to heavy rains as well as cyclones the locals in this place have developed in genuine way of building a bridge across valleys. 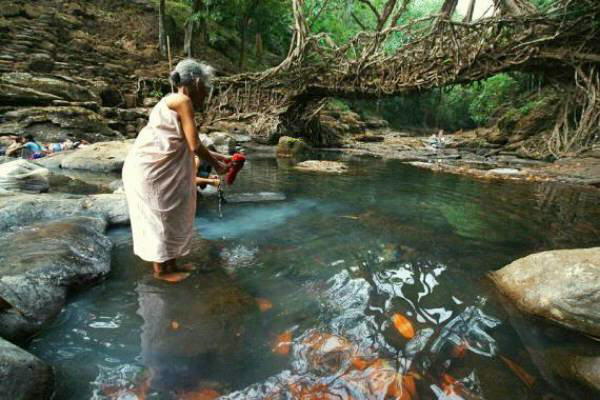 The process is that the root of a rare Indian rubber tree is made to grow in a particular direction with the support of the bamboos and a constant watch is kept on the growth. As the root further grows, more and more bamboos are added to provide direction so that it reaches the other side of the valley crossing dangerous rivers below. 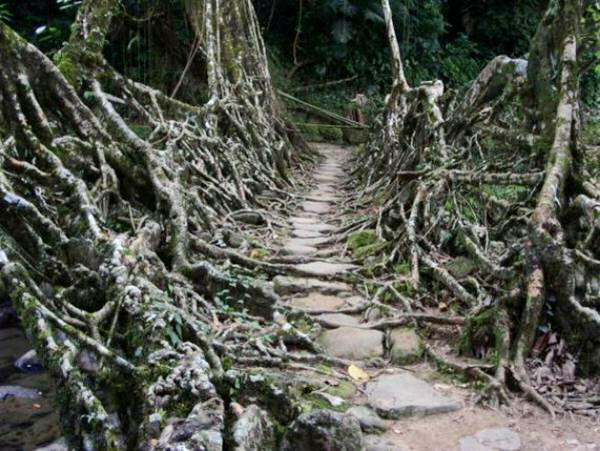 These roots grow very slowly, at times a few millimeters in a few months and hence a small bridge of say about 40 feet takes a period of 23 years. 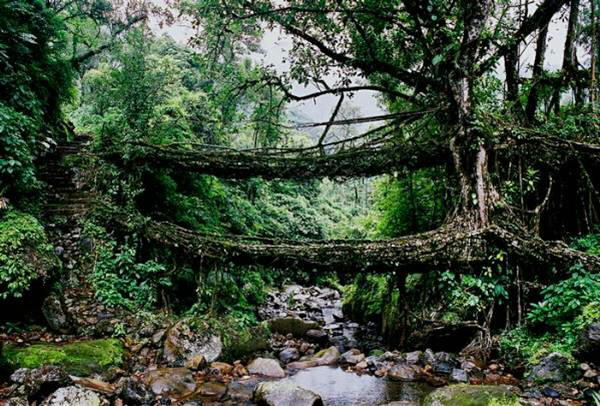 This being the case, imagine how much time would have taken to build a double decker bridge as shown in the picture. The locals say that it has taken 500 years to form this bridge that can withstand 90 people at a time without any sign of fear. 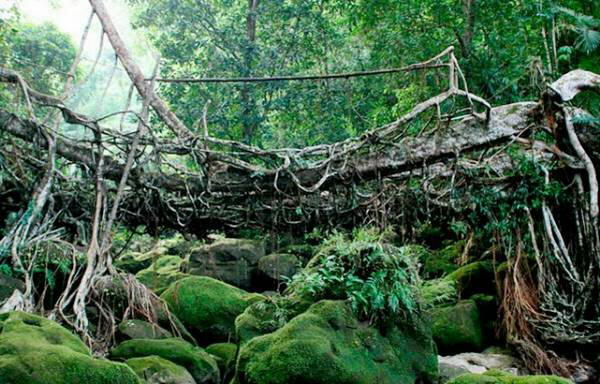 Since the roots are continuously growing with their other end firmly set the strength of the bridge only gets enhanced as the days pass by. 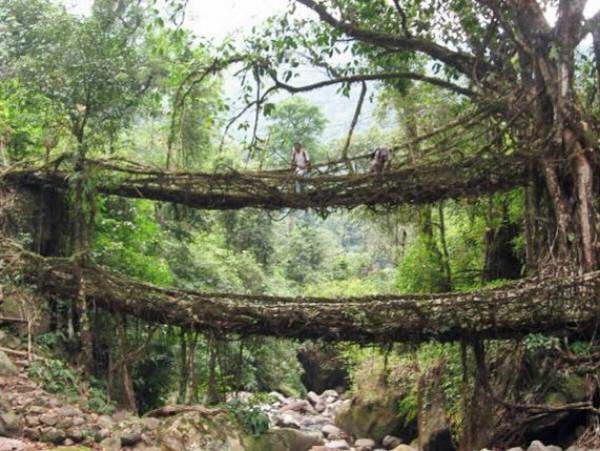 This bridge receives a good amount of tourists who have to trek quite a distance. 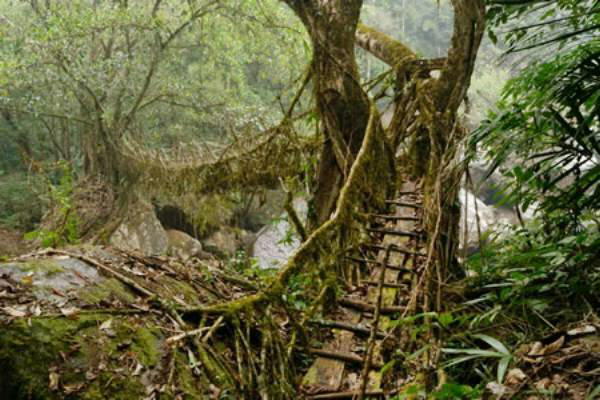 Now this has become a trend in that area where the present generation creates a facility so that the next generation can use the same to cross the valleys in Meghalaya.